We had a very good holiday in Kerala. Thanks for your well planned arrangments. Overall we enjoyed the stay at the hotels you had chosen. Especially we enjoyed the experience with the houseboat. The Dunes in Cochin was a great hotel. Good service and we were very pleased with the possibility for a early check in on the morning we arrived. Deshadan in Munner could have been better in terms of room. The staff was very friendly and the called us when we had forgotton some of our belongins after we left. Ranger Wood in Thekkady was good for a large family. Large rooms and a good view. The hotel in Varkala was good. Good location at the beach, a great resturant and friendly staff. We were very saticified with our driver, Manohar. He drove safely, was polite and very helpful for our personal wishes, for instans when we wanted to visite our friends. We can recommand him to every one! We would also like to express our thanks to Saranya for all the preperations. It has also a very good experience to meet all of you at the office and not to forget the cake! 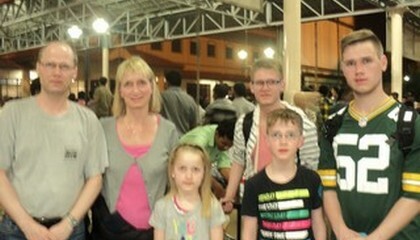 If we should come back to Kerala, we would not hesitate to contact Iris Holidays.